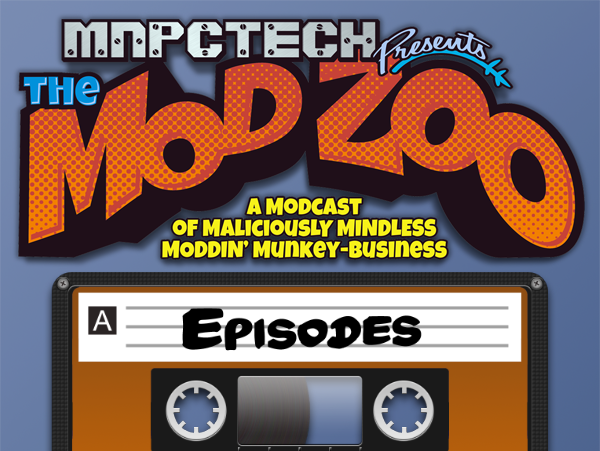 Kyle starts the twenty-first episode of the Mod Zoo with the normal crew, Bill Owen from MNPCTech, Jeremy “EEL Ambiense” Birch, Cheapskate aka Munkey and I guess we will have to call him a regular, Toby Kirkby! We also interview Lee Harrington who later shares his knowledge with while we get through as many listener Questions as possible! Intel jingle warning! LOL, fixed for ya Lee. Can’t fix the fact that he introduced you as “Harrietton.” I suspect he is still cross-eyed from all that drinking. -That intro… Gonna do a bionic man one for Kyle next? Soon Kyle, you’ll realize you’ve been mispronouncing buoy wrong all your life as well, MWUAHAHAHAH! had more Listener Q&A, but ran out of time, will try and get to them next episode! Spent most of this one coughing and sneezing… and eating. OK, the mic was off a LOT. Finally found time to listen to this. Another great podcast guys. daayumn rochester is only 4 hours from cleveland maybe ill drive up to check out the build! And tour of frozencpu! I’ll let ya know once we nail down a date Jim! Yeah, Just finding Kyle is a major undertaking. Getting us all together without issues was tough. We’ll be back — we’re just taking a break to take care of personal stuff. Have no fear; you’ll hear our twisted, childish antics soon enough. We all appreciate the support! yeah I can only imagine the difficulty trying to get everyone together as well as life getting in the way. He is keeping his shoes on? A Christmas podcast would be nice.